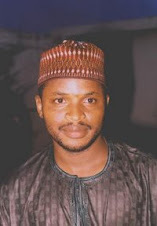 In light of last week’s gale of defections from political parties and the conversations this has inspired in the Nigerian public sphere, I have decided to share with the reader vocabularies and expressions that different people in the Anglophone world deploy to describe the phenomenon. (I apologize for suspending the “English Words that Make Nigerians Say the Opposite of What They Mean” series. I will conclude it next week). 1. “Decamp.” In the entire English-speaking world, only Nigerians use “decamp” to refer to the act of switching political party affiliations. In Standard English, to decamp means to leave a place hurriedly, often under the cover of secrecy—and illegally taking something along, as in: “After he told her he would divorce her, she decamped with all the money he kept in his closet." That’s certainly not what happens with party switching in Nigeria. It usually happens after claims of “extensive consultations” have been made, is done with fanfare, and does not involve anyone illegally taking anything along with them. “Decamp” has other meanings in Standard English beside what I pointed out above, but it is never used by native English speakers to refer to changing political parties. “Decampee,” a lexical extension of “decamp” in Nigerian English, does not exist in any Standard English dictionary. It’s entirely the invention of Nigerian journalists. As I will show in number 2, the American English expression for people who defect to another political party is “party switchers.” They are also called “defectors,” although the word is primarily used of a person who abandons military duty. Americans also have the expression “crossing the aisle” for the act of members of Congress (that is, the Senate and the House of Representatives) voting against the official position of their political parties. It is used only for members of Congress and does not refer to the act of changing political parties. “Aisle” (pronounced /ail/; the “s” is silent) refers to the passageway that separates Democrats and Republicans in Congress. To vote against one’s party requires literally leaving one’s seat and going to the other side. 4. “Waka-jumping.” Most Nigerians would swear that this is a Nigerian Pidgin English expression for party switching because “waka” means “walk away” in Nigerian Pidgin English, which is awfully similar to party switching. But “waka-jumping” is not a Nigerian Pidgin English expression. It’s actually the informal term for party switching in New Zealand English, and it’s derived from Maori, an aboriginal, Polynesian language that is native to New Zealand. In the Maori language, “waka” means a boat. 5. “Cross-carpeting” or “carpet crossing.” As I wrote in previous columns, “Carpet-crossing” or “cross-carpeting” are nonstandard expressions, but they are clearly derived from the British parliamentary expression “crossing the floor (of the House),” which occurs when a member of parliament either bucks his political party and votes with members of an opposing party on an issue, or when he entirely switches political party affiliation. In the British Parliament, members of the “ruling party” sit on the right side of the Speaker while members of the “opposition party” sit on the left side of the Speaker. Members of parliament who have a reason to change political party allegiance always have to “cross the floor” to join members of the other party, similar to “crossing the aisle” in American Congress. During Nigeria’s First Republic, a carpet (which is the same thing as a “floor” since floors are always carpeted) also separated members of parliament from the ruling party and those from the opposition parties, so changing political party affiliation also required “crossing the carpet” to the other side. 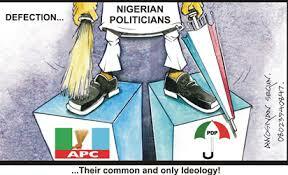 That is why changing political parties has come to be known as “carpet crossing” in Nigerian English. But under Nigeria’s current American-style presidential democracy, the expression is unjustified. 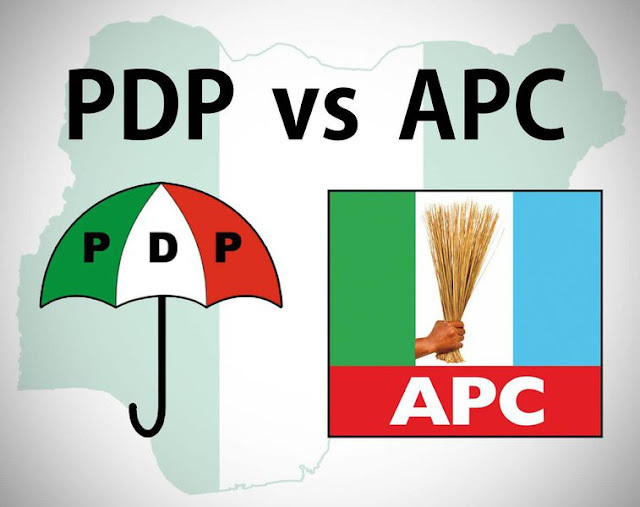 Although members of Nigeria’s national and state assemblies still sit according to party affiliations and are separated by a carpet, they are no longer the only players in the democratic game. There is a president, a vice president, governors, and deputy governors who are not members of national or state assemblies (who therefore don’t have a carpet to cross) and who can—and do— change party affiliations. In fact, there are politicians who are not elected or appointed to any position who change parties. In the First Republic, politicians from Nigeria (and other Third World Commonwealth nations) invented the term “cross-carpeting” or “carpet crossing” on the model of the British expression “crossing the floor” because they practiced parliamentary democracy. Now that Nigeria no longer practices British-style parliamentary democracy (which has no provision for a president, vice president, state governors, etc. and where even the prime minister has to be first elected to the parliament from his constituency), what term should we use to refer to change of political party affiliations, especially for elected and appointed officials who are not members of the national and state assemblies? “Decamping” is a legitimate Nigerianism, in my opinion. Language reflects—or should reflect— people’s socio-cultural uniqueness. I am against bland linguistic sameness in the name of “standards.” However, it helps to note that no one outside Nigeria uses “decamp” to mean changing political party affiliation. The British English “crossing the floor” doesn’t capture Nigeria’s political reality because we no longer practice the parliamentary system of government. If you have trouble getting a non-Nigerian to understand our “decamping” or “cross carpeting,” using the American English “party switching” or “defection” would take care of the communication breakdown.